Why are trans fats bad for you? Are there naturally occurring trans fats? How much trans fat is recommended in the diet? Why did trans fats become so popular if they have such bad health effects? How can I limit my daily of trans fats? What foods have healthy fats? Trans fat is also known as trans fatty acid or partially hydrogenated oils, is an unsaturated dietary fat that increases your risk of coronary heart disease (coronary artery disease). There are two broad types of trans fats found in foods: naturally-occurring and artificial trans fats. Naturally-occurring trans fats are produced in the gut of some animals (ruminants) and foods made from these animals (e.g., dairy products like milk, butter, cheese, and meat products) may contain small quantities of trans fats. Artificial trans fats (partially hydrogenated oils) are created in an industrial process that adds hydrogen to liquid vegetable oils to make them more solid, through a process called hydrogenation (a manufacturing process that adds hydrogen to vegetable oil) 1). Foods with industrially produced trans fat include those listing hydrogenated or partially hydrogenated fat on the label, such as crackers, snack foods, commercially produced baked goods, and some stick margarines. The primary dietary source for trans fats in processed food is “partially hydrogenated oils.” Look for them on the ingredient list on food packages. Industrially produced trans fat lowers high-density lipoprotein (HDL) “good” cholesterol, raises low-density lipoprotein (LDL) “bad” cholesterol, and an elevated low-density lipoprotein (LDL) “bad” cholesterol level in your blood increases your risk of developing coronary heart disease, the leading cause of death in men and women in the U.S. 2). By removing trans fats from processed foods could prevent thousands of heart attacks and deaths each year 3). Furthermore by reducing trans fat consumption by avoiding artificial trans fat could prevent 10,000–20,000 heart attacks and 3,000–7,000 coronary heart disease deaths each year in the U.S. 4). are cheap; trans fats are semisolid at room temperature, which makes them easier to use in baked products; trans fats have a long shelf-life; and trans fats can withstand repeated heating 8). The removal of partially hydrogenated vegetable oils containing industrially produced trans fats from the food supply has been described as one of the most straightforward public health interventions for improving diet and reducing the risk of noncommunicable disease 10). In fact, the World Health Organization (WHO) has called for the elimination of trans fats from the global food supply 11). In response to the rise in the prevalence of noncommunicable diseases, of which cardiovascular disease is the most common, the United Nations hosted a high-level meeting on the topic in September 2011. The political declaration that resulted from this meeting led to the development, in consultation with Member States, of a WHO global framework for monitoring noncommunicable diseases. One core indicator is the “adoption of national policies that virtually eliminate partially hydrogenated vegetable oils in the food supply and replace [them] with polyunsaturated fatty acids” 12). Denmark pioneered the banning of industrially-produced trans fats in food in 2003, becoming the first country in the world and a trailblazer for other governments determined to protect their public’s health from this heart disease-causing threat. U.S. Food and Drug Administration (FDA) has taken steps to remove artificial trans fats in processed foods. In 2015, FDA determined that trans fats (partially hydrogenated oils), the major source of artificial trans fat in the food supply, are no longer “Generally Recognized as Safe,” or GRAS 13). For the majority of uses of trans fats, June 18, 2018, remains the date after which manufacturers cannot add trans fats (partially hydrogenated oils) to foods 14). However, to allow for an orderly transition in the marketplace, FDA is allowing more time for products produced prior to June 18, 2018 to work their way through distribution. FDA is extending the compliance date for these foods to January 1, 2020 15). This action balances the health benefits of removing trans fats (partially hydrogenated oils) from the food supply with the need to provide an orderly transition in the marketplace. Industrially produced trans fat lowers high-density lipoprotein (HDL) “good” cholesterol, raises low-density lipoprotein (LDL) “bad” cholesterol, and an elevated low-density lipoprotein (LDL) “bad” cholesterol level in your blood increases your risk of developing coronary heart disease, the leading cause of death in men and women in the U.S. 16). By removing trans fats from processed foods could prevent thousands of heart attacks and deaths each year 17). Furthermore by reducing trans fat consumption by avoiding artificial trans fat could prevent 10,000–20,000 heart attacks and 3,000–7,000 coronary heart disease deaths each year in the U.S. 18). Consumption of industrially produced partially hydrogenated vegetable oils has been associated with an increased risk of cardiovascular disease, infertility, endometriosis, gallstones, Alzheimer’s disease, diabetes and some cancers 19). Small amounts of trans fats occur naturally in some meat and dairy products, including beef, lamb and butterfat. 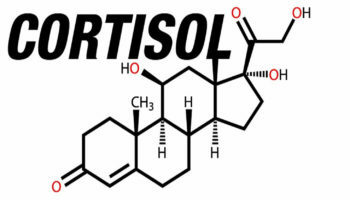 There have not been sufficient studies to determine whether these naturally occurring trans fats have the same bad effects on cholesterol levels as trans fats that have been industrially manufactured. Trans fats can be found in many foods and foods that may contain artificial trans fat include fried items, savory snacks (like microwave popcorn), frozen pizzas, baked goods including cakes, pie crusts, biscuits, frozen pizza, cookies, crackers, stick margarines and other spreads, ready-to-use frosting, and coffee creamers. Food manufacturers use artificial trans fat in food products because it is inexpensive and it increases the food’s shelf life, stability, taste and texture. Many restaurants and fast-food outlets use trans fats to deep-fry foods because oils with trans fats can be used many times in commercial fryers. Several countries (e.g., Denmark, Switzerland, and Canada) and jurisdictions (California, New York City, Baltimore, and Montgomery County, MD) have reduced or restricted the use of trans fats in food service establishments. Trans fat intake has significantly decreased in the U.S. as a result of efforts to increase awareness of its health effects, Nutrition Facts label changes, industry efforts to voluntarily reformulate foods, and some state and local governments’ restriction of its use in restaurants and other food service outlets. However, on average Americans still consume 1.3 grams (0.6% of energy) of artificial trans fat each day 20). The recommended amount of artificial trans fat is 0 (zero) gram. The American Heart Association recommends cutting back on foods containing partially hydrogenated vegetable oils to reduce trans fat in your diet and preparing lean meats and poultry without added saturated and trans fat. The most recent Dietary Guidelines for Americans recommend avoiding industrial trans fat and limiting intakes of trans fat from natural sources to <0.5 % of total calories. This reflects the decision of the US Food and Drug Administration (FDA) on partially hydrogenated oils, the primary dietary source of industrially produced trans fat in the US, which are no longer generally recognized as safe and the complete ban of food manufacturers from adding trans fat into their products. In Europe, recommendations for trans fat ranged from ≤ 2 % of total calories (France, UK) to ≤ 1 % of total calories (Belgium, the Netherlands, Germany-Austria-Switzerland, Spain). Latest recommendations for Belgium, Germany-Austria-Switzerland, the Nordic countries, and Spain indicate that dietary intakes of trans fat should be as low as possible, in any case < 1 % of total calories, whereas a 2 % of total calories limit has been maintained in France (2010) and the UK (2007) 24). Most recent recommendations from professional associations in Europe (European Society of Cardiology) and the US (American Heart Association; American Diabetes Association) indicate that consumption of trans fat should be as low as possible 25). Before 1990, very little was known about how trans fat can harm your health. In the 1990s, research began identifying the adverse health effects of trans fats. Based on these findings, FDA instituted labeling regulations for trans fat and consumption has decreased in the US in recent decades, however some individuals may consume high levels of trans fats based on their food choices. Read the Nutrition Facts panel on foods you buy at the store and, when eating out, ask what kind of oil foods are cooked in. Replace the trans fats in your diet with monounsaturated or polyunsaturated fats. Read the Nutrition Facts label and ingredient list to compare foods. Choose products with 0 grams trans fat. Check the Ingredient List to see if there is any partially hydrogenated oil in the product. Because products containing less than 0.5 grams of trans fat per serving can be labeled as having 0 grams trans fat, checking the Ingredient List is important to avoid all artificial trans fat. When choosing foods low in trans fat, make sure they are also low in saturated fat and cholesterol: look for foods with 5% of the Daily Value or less. Foods with 20% or more of the Daily Value of these two components are high. Use monounsaturated fat (canola and olive oil) and polyunsaturated fat (soybean, corn, and sunflower oil) in recipes that call for fat. A good way to avoid trans fat is to eat a balanced diet rich in fruits, vegetables, whole grains, lean sources of protein, and low-fat or fat-free dairy products. Ask your grocer to stock products free of “partially hydrogenated oil” and “shortening”. Talk with your favorite restaurant establishment about current use of partially hydrogenated oils or changing to a menu that is 100% free of “partially hydrogenated oil” and “shortening”. Choose restaurants that do not use partially hydrogenated oil to prepare food. Eat a dietary pattern that emphasizes fruits, vegetables, whole grains, low-fat dairy products, poultry, fish and nuts. Also limit red meat and sugary foods and beverages. Use naturally occurring, unhydrogenated vegetable oils such as canola, safflower, sunflower or olive oil most often. Look for processed foods made with unhydrogenated oil rather than partially hydrogenated or hydrogenated vegetable oils or saturated fat. Use soft margarine as a substitute for butter, and choose soft margarines (liquid or tub varieties) over harder stick forms. Look for “0 g trans fat” on the Nutrition Facts label and no hydrogenated oils in the ingredients list. Doughnuts, cookies, crackers, muffins, pies and cakes are examples of foods that may contain trans fat. Limit how frequently you eat them. Limit commercially fried foods and baked goods made with shortening or partially hydrogenated vegetable oils. Not only are these foods very high in fat, but that fat is also likely to be trans fat. Limit fried fast food. Commercial shortening and deep-frying fats are still made by hydrogenation and contain saturated and trans fats. Consider using a food diary to keep track of what you eat. It’s a handy way to evaluate the healthy, not-so-healthy and unhealthy foods you’re making a part of your everyday diet. Choose poultry and fish without skin and prepare them in healthy ways without added saturated and trans fat. If you choose to eat meat, look for the leanest cuts available and prepare them in healthy and delicious ways. Choose foods with less sodium and prepare foods with little or no salt. To lower blood pressure, aim to eat no more than 2,300 milligrams of sodium per day. Reducing daily intake to 1,500 mg is desirable because it can lower blood pressure even further. If you can’t meet these goals right now, even reducing sodium intake by 1,000 mg per day can benefit blood pressure. Also, don’t smoke tobacco — and avoid secondhand smoke. Saturated fats are fat molecules that are “saturated” with hydrogen molecules. They are typically solids at room temperature — think cooled bacon grease, butter, beef tallow, coconut oil, ghee or pork lard. Common sources of saturated fat include lard, butter, ghee, red meat, palm oil, whole milk and other whole-milk dairy foods, cheese, coconut oil, and many commercially prepared baked goods and other foods 26). Coconut, palm kernel, and palm oil are called oils because they come from plants. However, they are solid or semi-solid at room temperature due to their high content of short-chain saturated fatty acids. They are considered solid fats for nutritional purposes. They also are found in other animal fats, such as pork and chicken fats and in other plant fats, such as nuts. The word “saturated” here refers to the number of hydrogen atoms surrounding each carbon atom. The chain of carbon atoms holds as many hydrogen atoms as possible — it’s saturated with hydrogens. Saturated fats occur naturally in many foods – primarily meat and dairy products. Beef, lamb, pork on poultry (with the skin on) contain saturated fats, as do butter, cream and cheese made from whole or 2 percent milk. Plant-based foods that contain saturated fats include coconut, coconut oil and cocoa butter, as well as palm oil and palm kernel oil (often called tropical oils). According to the American Heart Association Advisory 27), cardiovascular disease was lowered by about 30 percent, similar to the effect of cholesterol-lowering statin drugs when vegetable oil replaced saturated fat in the diet. The switch to healthier oils also was associated with lower rates of death from all causes. The American Heart Association recommends aiming for a dietary pattern that achieves 5% to 6% of calories from saturated fat, that’s about 13 grams of saturated fats a day 28). Figure 3. Types Fatty Acids Structure. 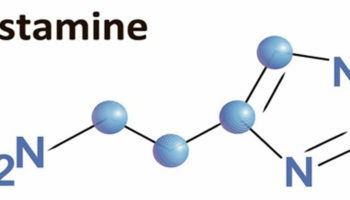 Trans fatty acids are unsaturated fatty acids that contain at least one double bond in the trans configuration. For people who need to lower their cholesterol, the American Heart Association recommends reducing saturated fat to no more than 5 to 6 percent of total daily calories. For someone eating 2,000 calories a day, that’s about 11 to 13 grams of saturated fat. There is good evidence that higher intakes of saturated fats and trans fats lead to increased blood cholesterol levels which may contribute to development of heart disease. Limiting the intake of saturated and tran fats, with replacement by mono- and poly-unsaturated fatty acids, should be considered by policy makers when making nutrient recommendations and developing food-based dietary guidelines at national level. Footnote: * % Daily Values (DV) listed in this column are based on the food amounts listed in the table. The % DV listed is based on a 2,000 calorie diet. The DV for saturated fat is 20 grams. Footnote: A zero value equals <0.5 g/100 g.
*Primary safflower and sunflower oils of commerce. [Source Data from US Department of Agriculture food composition tables 30). Eat less saturated fat, trans fat, and cholesterol. Aim to consume less than 10% of total calories from saturated fat. The American Heart Association recommends that adults who would benefit from lowering LDL “bad” cholesterol reduce their intake of trans fat and limit their consumption of saturated fat to 5 to 6% of total calories. Eating too much saturated fat, the type of fat that is solid at room temperature, may increase risk of heart disease. Similarly, eating too much trans fat, which is made when liquid vegetable oil is processed to become solid, also may increase risk of heart disease. And, eating too much cholesterol, a fatty substance found only in animal-based products, may clog arteries. It is important to eat less than 10% of your calories from saturated fat. Most of the fat in your diet should come from food sources of polyunsaturated and monounstatured fats. Experts recommend getting between 20% and 35% of calories from total fat, with most fats coming from fish, nuts, and vegetable oils. These foods can contain monounsaturated and polyunsaturated fats—they should replace the saturated and trans fat sources you choose to cut back on. 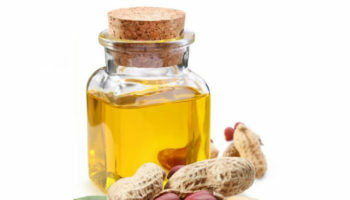 Plant sources of polyunsaturated fatty acids are vegetable oils, including soybean oil, corn oil, canola oil, walnuts, flaxseed and safflower oil. Eicosapentaenoic acid (EPA) and docosahexaenoic acid (DHA) are omega 3 fatty acids that are contained in fish and shellfish. 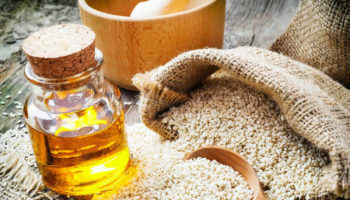 Plant sources that are rich in monounsaturated fatty acids include canola oil, olive oil, high oleic safflower oil, and sunflower oil and nuts. 2, 16. ↵ Trans fatty acids: current contents in Canadian foods and estimated intake levels for the Canadian population. J AOAC Int. 2009 Sep-Oct;92(5):1258-76. 4, 18. ↵ Dietz WH, Scanlon, KS. 2012. Eliminating the Use of Partially Hydrogenated Oil in Food Production and Preparation. JAMA. 2012;308(2):143-144. 29. ↵ Agricultural Research Service (ARS) Nutrient Database for Standard Reference, Release 17. 30. ↵ US Department of Agriculture, Agricultural Research Service, National Nutrient Database for Standard Reference, release 28, 2016. https://ndb.nal.usda.gov/ndb/search/list. Accessed May 23, 2017. What is the American Diabetes Association (ADA) diet ? What is the DASH Diet ? Is Alkaline Diet The Secret To Weight Loss ? What are Diabetes Superfoods ? What is a yo yo diet ?